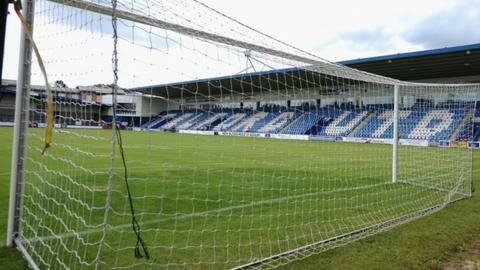 Managing director Lee Carter has stepped down from his role at National League North side AFC Telford United. Carter, 38, was a key figure in reforming the Bucks after the original club went bust in 2004 and will hold an unpaid director's post on the board. "I've contemplated this decision for the last 12 months and changed my mind a couple of times," Carter said. "It is a major decision for me because it is almost as if my working life has been nothing else." The Bucks finished 18th in National League North this season, avoiding relegation by one point.